I Hate Babies - Howdy YAL! I don’t like babies in YA. I’m sorry. Even if you’re an amazing author, which Huntley Fitzpatrick pretty much is. If you have a YA book about teens with babies and I don’t know about it until I’m like a hundred pages into the book, it’s pretty obvious I’m going to DNF you. 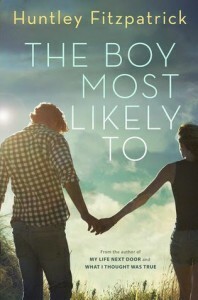 I had been looking forward to The Boy Most Likely To since I heard it was actually going to be a thing. I enjoyed the Tim and Alice subplot in My Life Next Door and was interesting to see how their story would play out. I did not think it would involve a baby. To be fair to the book, if this sort of plot is your thing it’s a decent book. True, I wasn’t engaged as I was with My Life Next Door and to a degree What I Thought Was True, the writing wasn’t bad. It still flowed very nicely, even though Fitzpatrick decided to change up her narration by using dual protagonists. And to be fair, I thought that Tim sounded like a fairly realistic teenage boy. Though, that probably slightly diminished the swoon factor on his part-just saying. Though, the baby really made the swoonage pretty much non-existant. Yeah, I’m going to keep mentioning how much I disliked the babies in this DNF review because it was the straw that broke the camel’s back. I think if I had some warning going in, I wouldn’t have been disgusted enough to set the book down. Also, it would’ve helped if maybe I got to know Tim and Alice as leads a little bit more before throwing in a damn baby. Really, other than Alice being exhausted and a bit of a jerk I really didn’t know that much more about her than I did in My Life Next Door. I blame the stupid baby for that. Everyone has their tropes that they dislike, and this in mine. It really took this book and ruined it like a lead balloon. And I snuck a peak at the end, so I know I’m really not missing anything worth while. As for a DNF, I’m giving this one a tad bit higher rating because it was well written. It just had a very stupid trope in it that ruined it for me. 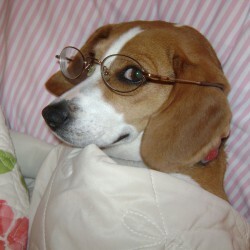 And these days, I just don’t have time to read anything that I know I’m going to force myself to read.